The session was billed as a debate, but two experts discussing the pros and cons of early dialysis found common ground: Decisions should be individualized. Bruce A. Cooper, MBBS, PhD, from the department of renal medicine at Royal North Shore Hospital in Sydney, Australia, and Thomas A. Golper, MD, from Vanderbilt University Medical Center in Nashville, spoke at the American Society of Nephrology's Kidney Week 2011, held in Philadelphia last November. Dr. Cooper argued the con view: Dialysis should not be started early because there's no good evidence to do so. He defined “early” as nearer to the beginning of the disease course, before the expected or usual time, or before the patient actually needs it. Before guidelines on the subject were issued, Dr. Cooper said, dialysis was traditionally started in patients with uncontrollable acidosis, uncontrollable hyperkalemia, uncontrollable fluid overloading, or uremia, or in patients whose single functioning kidney was removed. In 1999, however, case-control and cohort studies suggested that early dialysis improved outcomes. Although the evidence was weak, Dr. Cooper said, guidelines were based on it, and as a result, rates of early dialysis (e.g., starting at a GFR >10 mL/min/1.73 m2) rose from 19% of patients in 1996 to 45% in 2005. However, he said, before physicians change anything about a patient's treatment, they need to prove that evidence supports the change. “You need to prove that there's reduced mortality, prove that there's a reduction in disease-specific adverse events, prove that you can reduce hospitalization or reduce costs, prove that you can improve overall patient outcomes, and most importantly, prove that you can improve quality of life and not cause excess harm,” he said. And, he said, it turned out that the 1999 guidelines recommending early dialysis may have been premature. 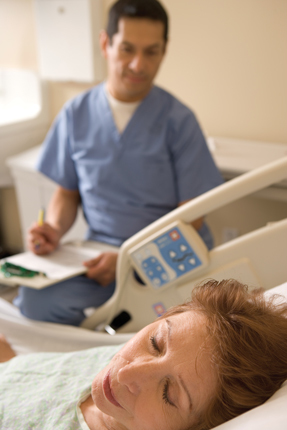 In 2010, registry data found that patients who started dialysis early actually did worse than those who started late. “So in 10 years, we've gone from starting early having better outcomes to starting early having worse outcomes,” Dr. Cooper said. He did point out, however, that the more recent reviews also have their own biases: Sicker patients will be started on dialysis early, and patients who have fewer comorbid conditions will be started later. “Those things are going to confound any analyses that aren't randomized,” he said. The results of the Initiating Dialysis Early and Late (IDEAL) Study, a randomized, controlled trial comparing early versus late dialysis, was published in the Aug. 12, 2010 New England Journal of Medicine. Dr. Cooper was the lead investigator. IDEAL randomly assigned 828 patients 18 years of age or older with progressive chronic kidney disease and an estimated GFR between 10 and 15 mL/min/1.73 m2 to start dialysis when their GFR was either 10 to 14 mL/min/1.73 m2 or 5 to 7 mL/min/1.73 m2. The primary outcome was all-cause mortality, and secondary outcomes were cardiovascular events, infectious events, dialysis complications and results of an economic and quality of life analysis. The authors found that in these patients with stage 5 kidney disease and significant comorbidities, early dialysis did not appear to improve survival or any other outcomes, although it also didn't seem to cause any significant adverse effects. However, Dr. Cooper said, starting dialysis early also trended toward worsening patients' quality of life. “One thing we can tell our patients is that starting dialysis won't improve quality of life, and if you start dialysis earlier that definitely won't give you better quality of life than if you delay dialysis,” he said. Patients usually don't want to start dialysis, Dr. Cooper noted, and don't care what their GFR is when they start it. “All they care about is how long they can stay off dialysis,” he said. He also pointed out that dialysis is one of the most expensive medical therapies available, especially when it's administered in the hospital. Costs to the patient in treatment and travel time as well as quality of life should also be considered, he said. Dr. Cooper recommended that dialysis should be started using more traditional indicators rather than relying solely on GFR. “We need to listen to our patients and see if they have features of uremia, we need to examine our patients to see if they have features of uremia, and we also need to look at their biochemistry,” he said. Dr. Golper, slated to argue the pro view for early dialysis, focused instead on why, when and how its use might be appropriate. The rationale behind starting dialysis early, he said, is that doing so may improve patients' GFRs. Other possible pros of an early start include less malnutrition, less hospitalization, better outcomes, possible preservation of residual renal function, and potential cost savings. Possible cons include infections, access problems, dialysate protein loss, patient burnout and potentially higher costs. Dr. Golper pointed to an observational study that showed a significantly higher mortality rate in patients who started dialysis earlier. The study concluded that the hemodialysis should not be initiated on the basis of an arbitrary GFR or creatinine level unless there are also definitive indications of end-stage renal disease, a point also made by Dr. Cooper, Dr. Golper noted. Estimated GFR can vary widely at the start of dialysis, Dr. Golper said. That could be because it doesn't represent renal function accurately (“Quite probable,” Dr. Golper said) or because patients have widely differing tolerance to uremia, which Dr. Golper argued could be related to comorbidities. Nephrologists may also misuse estimated GFR when determining when dialysis should be started, he said. Estimated GFR is a reflection of comorbidities, Dr. Golper said, but researchers can only qualify the comorbidities they know and can measure, and even those can be confounded by factors such as diabetes. Confounders are best addressed in randomized, controlled trials like IDEAL, Dr. Golper said. However, he pointed out some reasons why physicians should use caution when interpreting and extrapolating the IDEAL results. The IDEAL participants were particularly well prepared and well nourished compared to many usual patients. Sixty percent started with peritoneal dialysis, and even within the early start group, dialysis was sometimes started because of uremia and/or volume excess. Some of the early start group had delayed starts, Dr. Golper said, and it's not clear how they would have done if dialysis had started on time. “I suspect not differently, but we don't know that,” he said. He also noted that the late start group did not get to its target GFR of 5 to 7 mL/min/1.73 m2. “How would they have done if they hadn't waited?” he asked. In Dr. Golper's practice, he said, he starts patients on dialysis early if they have fragile hemoaccess and if they are candidates for peritoneal dialysis. “The question becomes how do you start earlier without harm and with only benefits,” he said. He advocates incremental dialysis, which he defined as adding dialysis in specific doses over time to achieve a total delivered dose of residual kidney plus artificial kidney function. “Not looking at residual renal function (in determining total dose) is not only a mistake, but the damage you can do to residual kidney function is also a possible mistake,” he said. Incremental dialysis is ideal in cases when significant residual kidney function can contribute to total therapy, Dr. Golper said. Psychological or economic conditions, such as travel costs, could also dictate when physicians might try incremental dialysis. 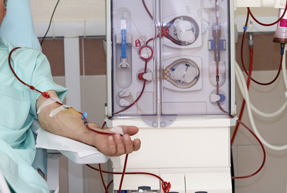 Incremental dialysis can be helpful when initiating either hemodialysis or peritoneal dialysis in patients with residual kidney function; when converting unsuccessful peritoneal dialysis to hemodialysis; and when using hemodialysis to supplement interrupted, complicated, or just initiated peritoneal dialysis, he said. Peritoneal dialysis is known to preserve residual kidney function better than hemodialysis, Dr. Golper noted, perhaps because it is generally practiced incrementally. It's possible, he said, that peritoneal dialysis could slow loss of residual kidney function and that incremental hemodialysis could preserve residual kidney function and subsequently improve outcomes. However, Dr. Golper did outline several situations where incremental dialysis should not be used, such as when patients and their families don't understand that doses will eventually need to be increased. 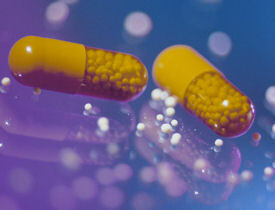 “It will be mandatory as residual function is lost that you increase doses later,” he said. Lack of understanding by the dialysis staff, the network medical review board and the facility or dialysis organization is also a potential stumbling block. “And you can't do it in the absence of an integrated end-stage kidney disease program where you offer all therapies,” he stressed. Chronic kidney failure and end-stage kidney disease are a continuum and should be treated as such, Dr. Golper summarized. Starting incremental dialysis earlier, when patients are healthier, is a practical, well-tolerated method, he said, but should be tailored to each particular patient.